The new deal follows a successful 12-month existing partnership. The agreement will see Gympass continuing to work with Bannatyne to bring new members from their network of businesses to the entire estate of 72 clubs. The relationship has successfully brought a significant incremental increase in corporate members to date, leveraging Gympass’ postcode technology to pair subscribers with clubs close to both home and work. The company estimates another 6,000 members to join over the next three years. Adrian Worsley, National Operations Manager at Bannatyne Health Clubs, said: “Our relationship with Gympass has proven to be extremely successful over the past year, showing considerable uplift in revenue and attendance at our facilities from corporate members. Gympass has partnerships with some of the UK’s largest employers, including Aviva, Rolls Royce and Thames Water. Employees will gain access to Bannatyne Health Clubs, amongst other fitness providers, at a minimum discount of 50 per cent, helping to encourage them to get active and build long-term habits. 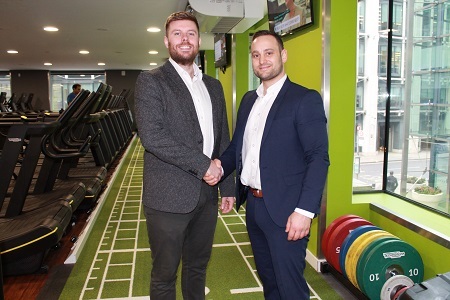 Eamon Lloyd, Head of Partnerships at Gympass, said: “We are really excited to be solidifying our partnership with Bannatyne Health Clubs, offering access to their extensive range of clubs for another three years. It is our goal to defeat inactivity and improve the level of physical activity throughout the country. The deal with Gympass extends beyond the platform with a host of live wellness events planned. Bannatyne employees will regularly be invited into the offices of Gympass’ corporate clients to run fitness classes and health checks, while Gympass plans to hold wellbeing events, such as breakfast workouts, at Bannatayne Clubs to encourage more employees to try the facilities in a safe and supported environment.